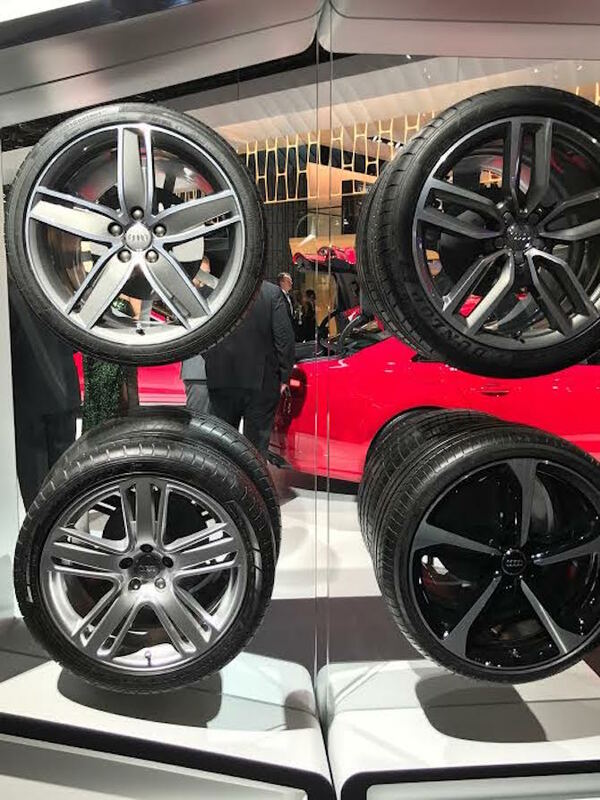 I had the pleasure of covering the “Style SEEN” from the Auto Show Charity Preview 2017 (also known as the “Auto Prom”) on Friday, January 13. 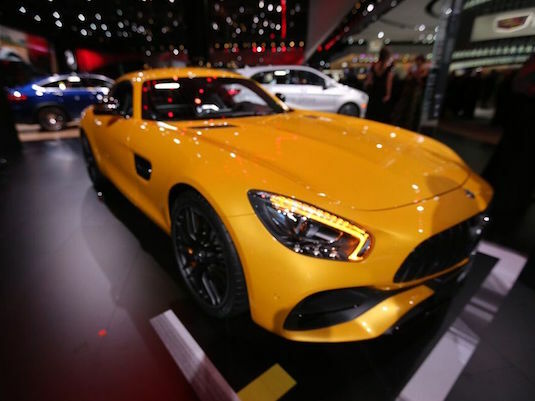 Auto Prom is the perfect way to describe such a beautiful night of gorgeous cars, gowns and sharp velvet tuxes. 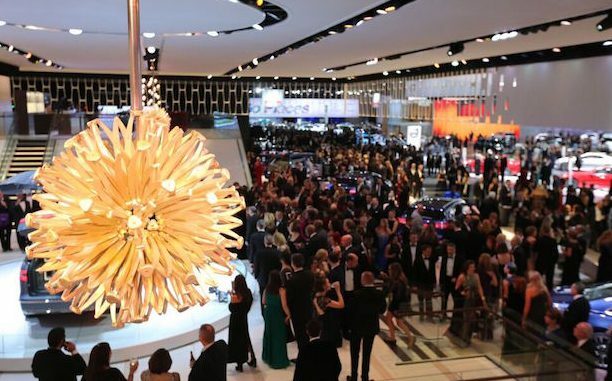 This event gives attendees the chance to get dressed to the nines for a first look at the incredible cars while benefiting a wide range of children’s charities. 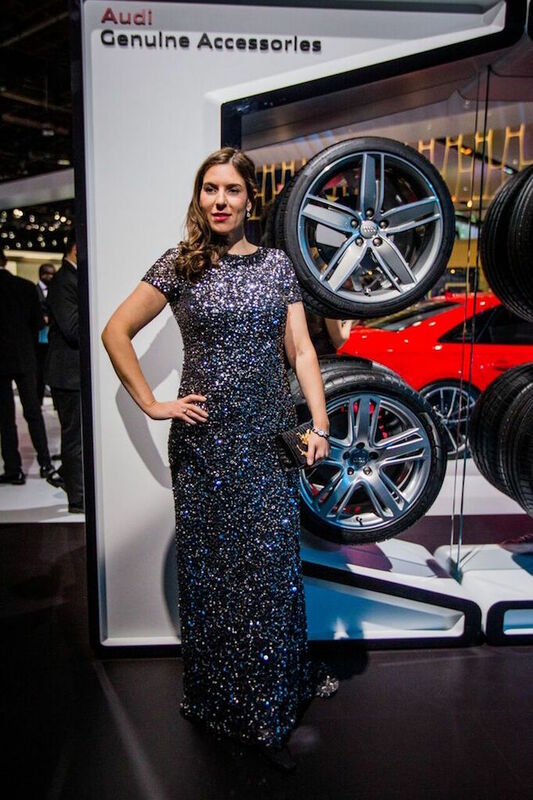 With help from auto reporter Jaclyn Trop, who has given me her top picks of stylish cars from this year’s Auto Show, I picked the most stylish outfits from those who attended the Auto Prom. 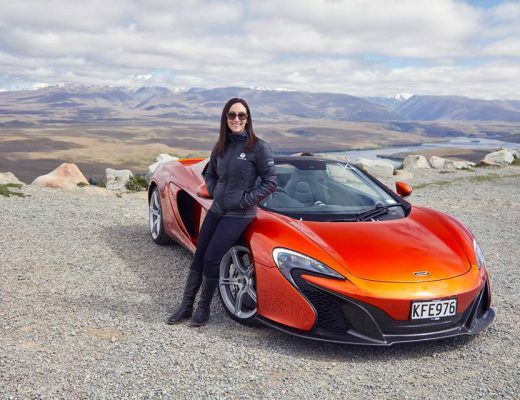 Some of these outfits have major correlations to the cars that Jaclyn picked. 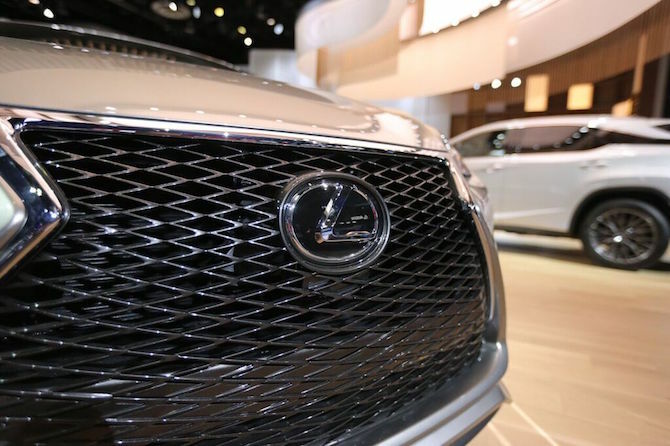 You might not realize, there are many similarities between cars and fashion — from the materials used, to the interior fabrics and linings, a car’s silhouette can sometimes make us think of a unique garment or accessory. 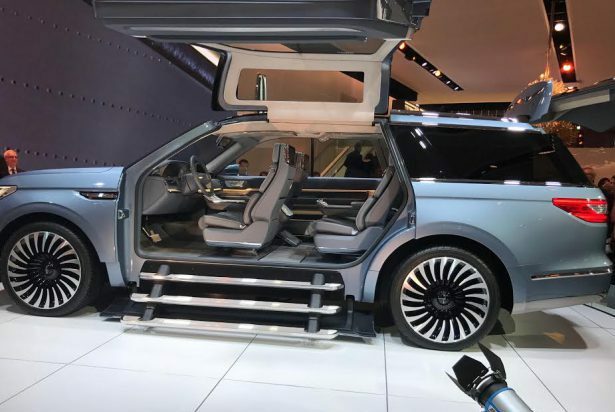 From color blocking to edgy details, this years car trends were reflected in the fashions adorned by some of Detroit’s most stylish attendees. 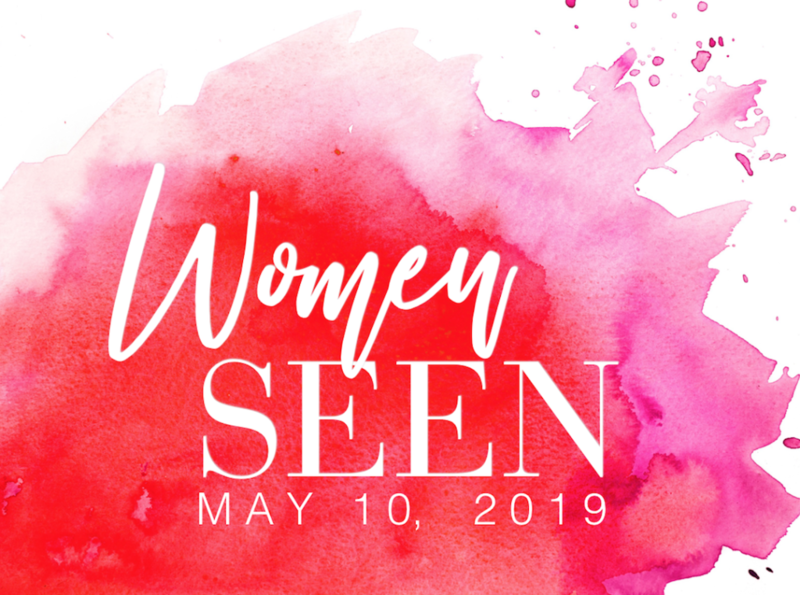 Read our list below. Kristin Finn wears a two-piece set with black crop top and floral skirt skirt from Von Maur. 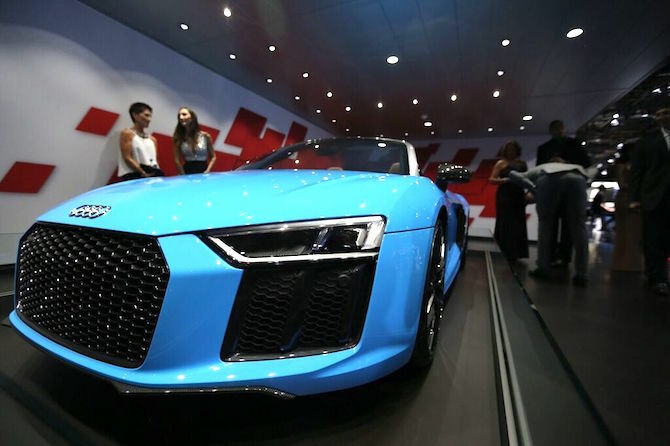 She is pictured with the Audi R8 convertible in bright blue with black accents. 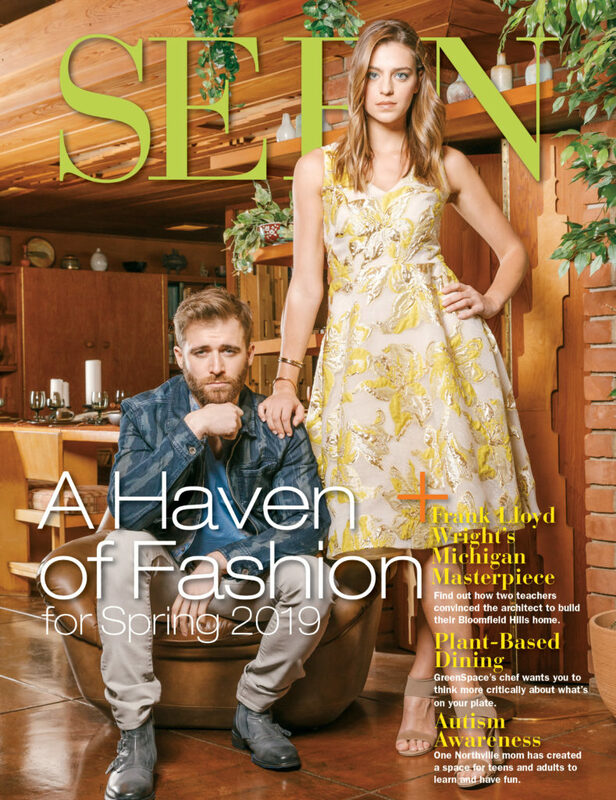 Lena Epstein wears Adriana Papell from Nordstrom. Her purse is alligator 18-carat-gold clutch, a family heirloom from Paris. 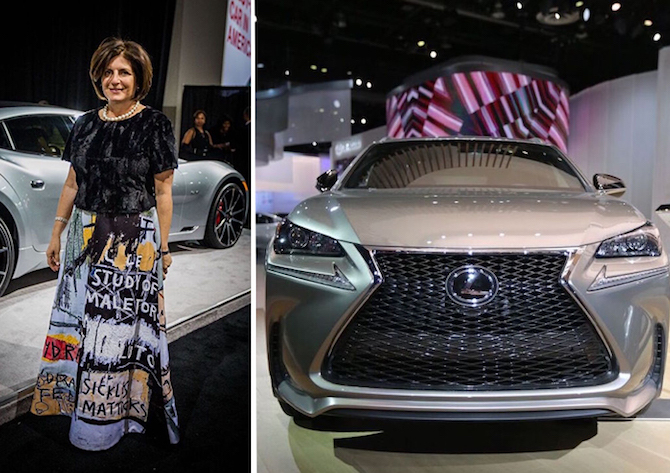 Notice, the Lexus tires – Couldn’t you imagine these tire textures and designs making an edgy glam silk print scarf? 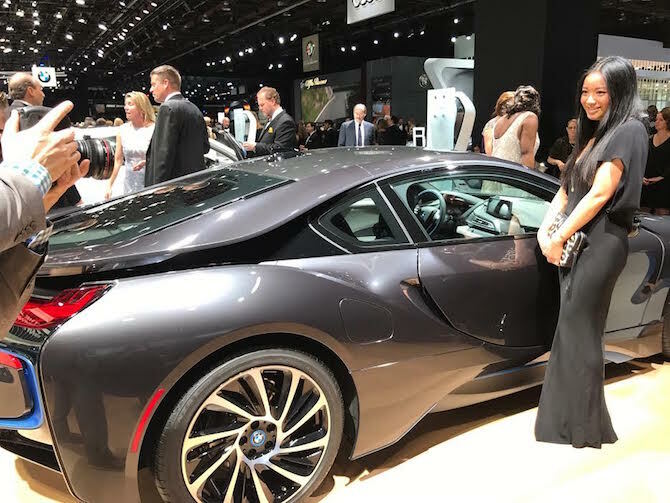 Christina Chen wears a T by Alexander Wang sleek black dress in front of the modern sleek design of the newest BMW electric car, made of carbon. 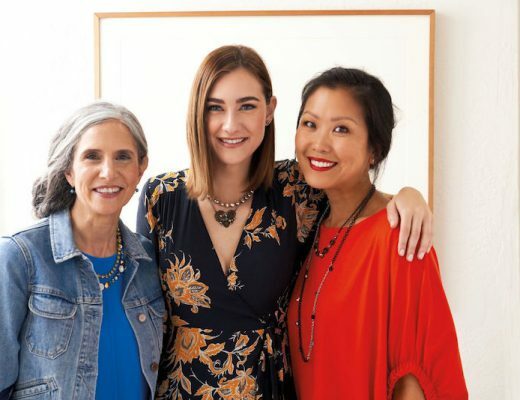 Selina Samano (below) wears Rebecca Minkoff. Extremely chic and sleek, this black jumpsuit is perfect with this black fur coat. Move over typical ball gowns and dresses, the jumpsuit is ideal outfit for Auto Prom. Jason & Kristine Vazzano – Jason is wearing a velvet suit from Armani at Saks, Somerset. Kristine is wearing a floral print dress from Anthropologie. 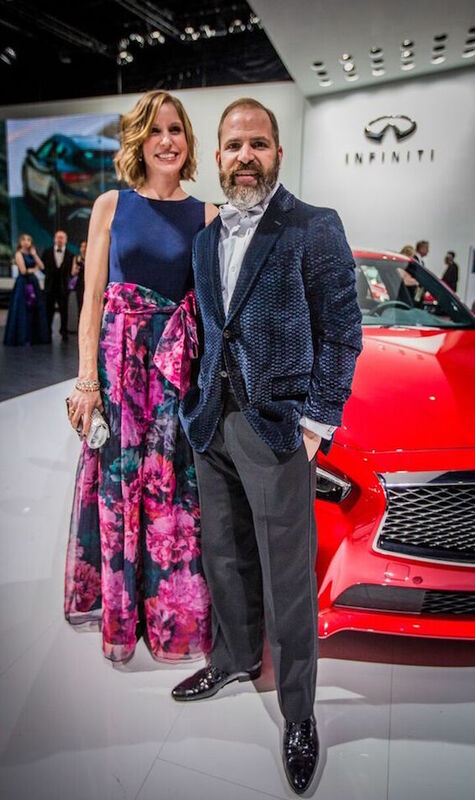 They are pictured with the bold red Infiniti Q60. 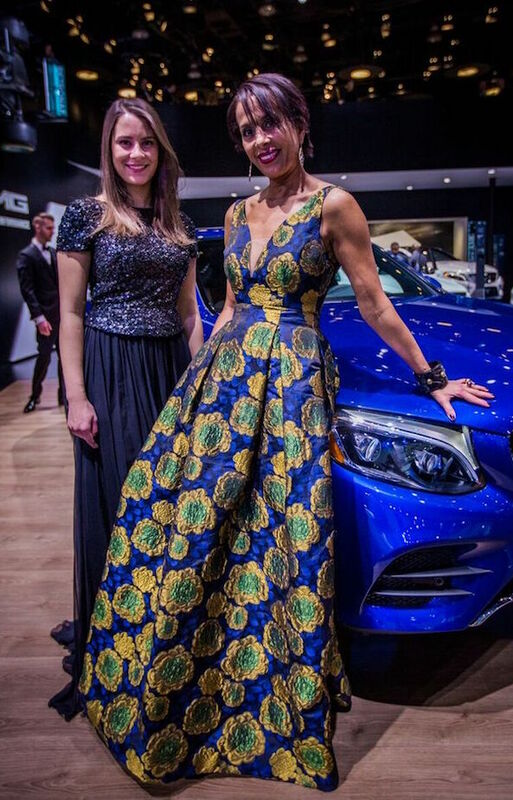 Sara Uhlenbecker wears a black Elie Saab dress; Nezha Jioudi wears a dress by local designer Christiane Larue with accessories by local designer Barbara Boz. 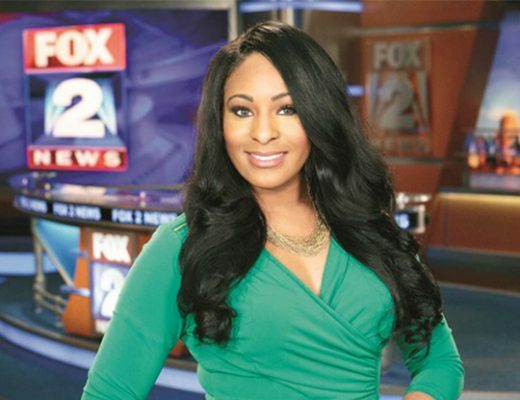 Ladies are pictured by Mercedes-Benz AMG GT S.
Fox 2 News anchor/reporter Maurielle Lue wears an amazing pant/dress piece from Unique Lady Prom in Southfield. 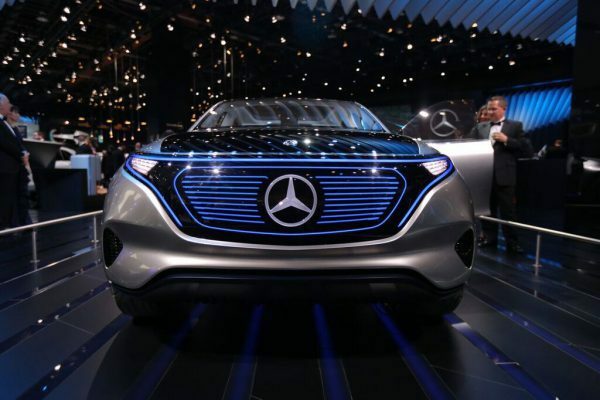 The Mercedes-Benz Concept EQ (pictured bel0w) has a shine and luster you cannot miss. 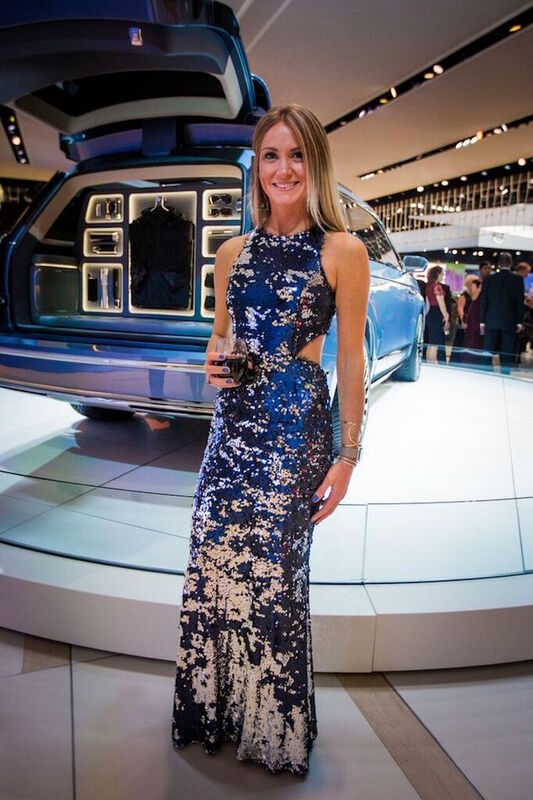 Jessica Persichini, wearing a dress from Revolve 22, is pictured with the Lincoln Navigator Concept. 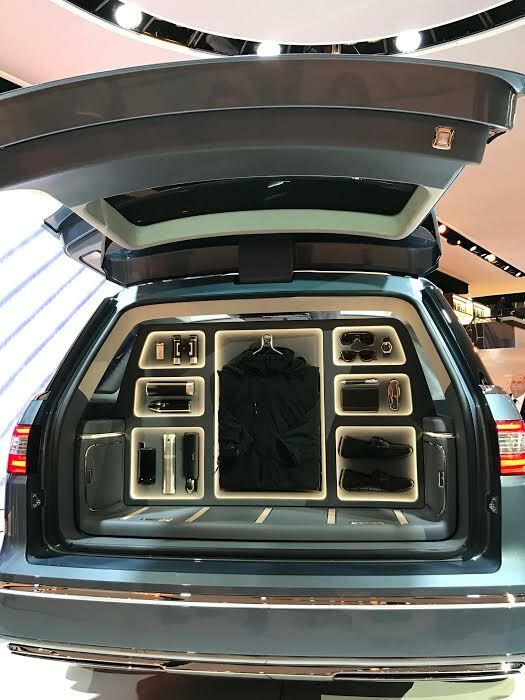 There is a lot of shine around this concept car, especially with the built-in closet located in its spacious trunk. Which outfits and cars are on your favorite list? We would love to know! Please share your comments below. Love the dress by local designer Christiane Larue with accessories by local designer Barbara Boz. Very chic and cool! We love it too Lisa! 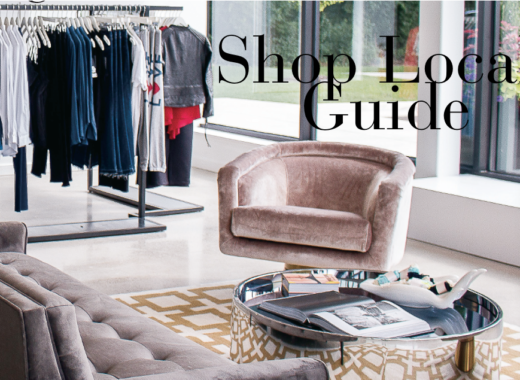 Supporting local designers has never looked so good!